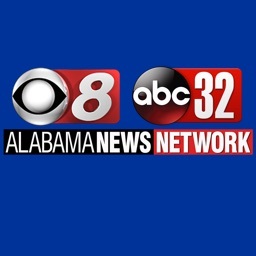 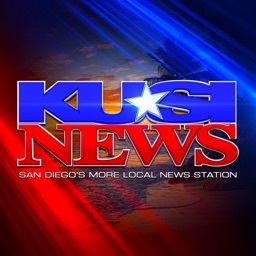 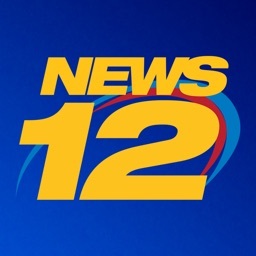 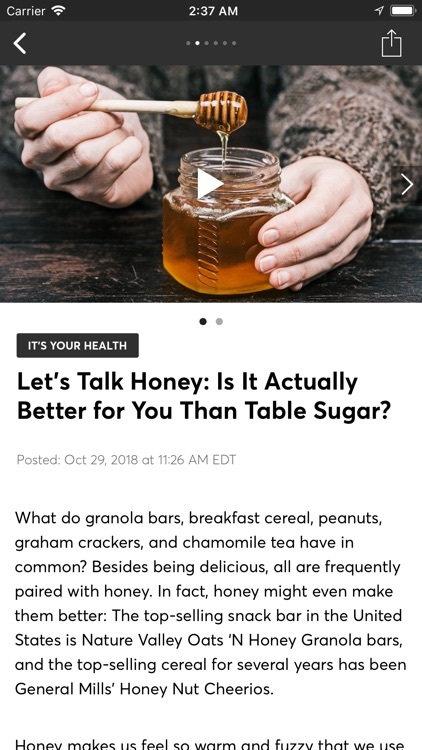 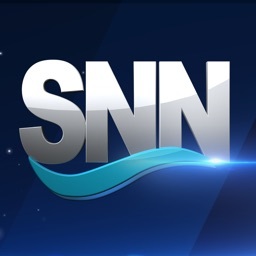 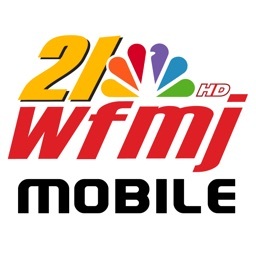 SNN mobile app is your source for local news, weather, sports and information on the go! 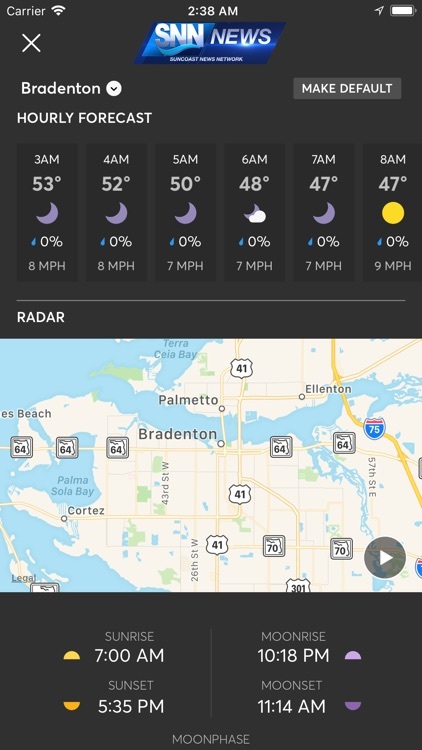 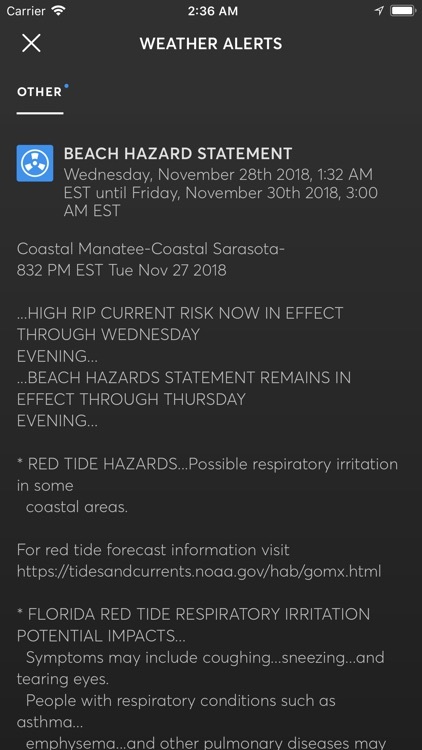 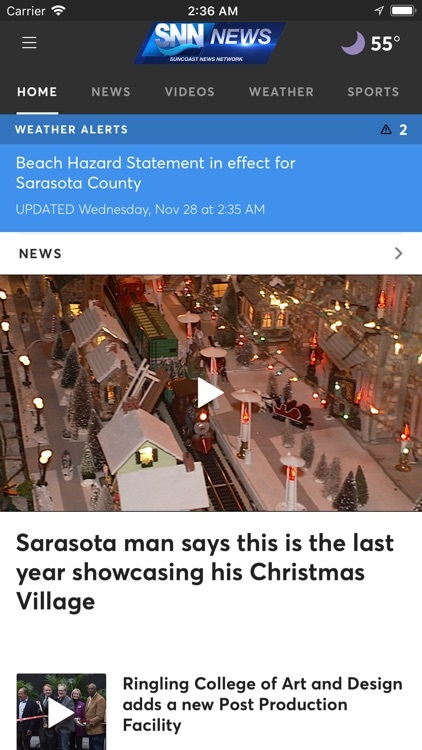 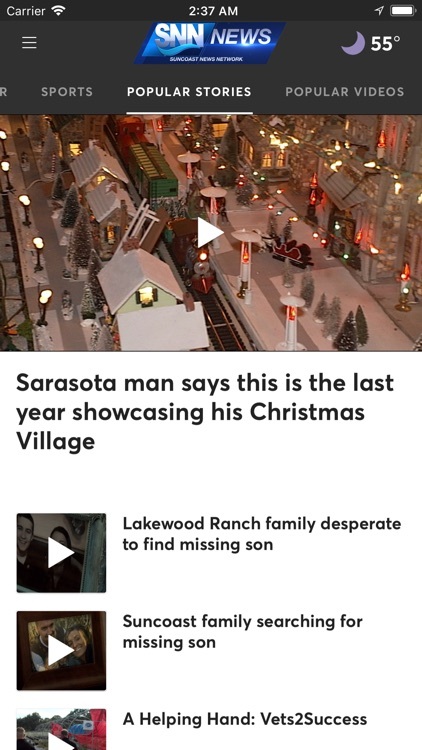 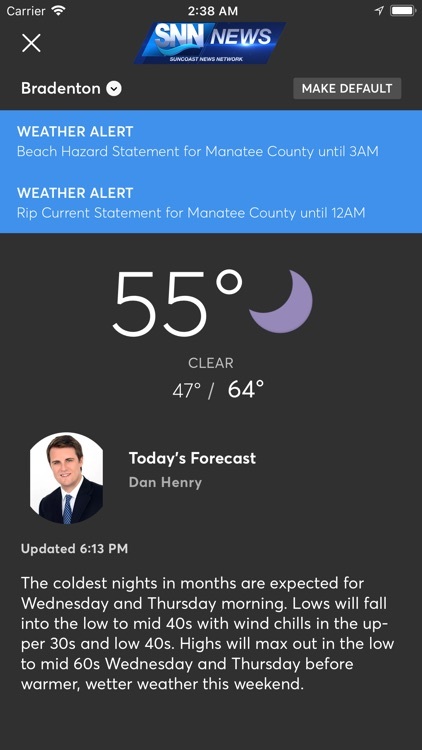 Get more local news, more local weather, more local sports, and more of the videos you want to see from Sarasota, Manatee, Charlotte, DeSoto counties, and beyond. 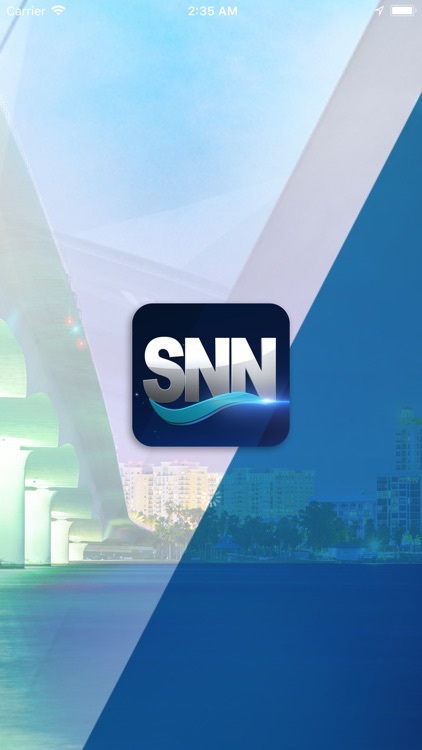 Everything you love about the Suncoast News Network in the palm of your hand.